Stamford Talk: Eat, Think, Drive, Blog! : Seen: Restaurant Week Steak, Big Meli-Melo, Bad Pink Lights, Christmas Trees! Seen: Restaurant Week Steak, Big Meli-Melo, Bad Pink Lights, Christmas Trees! 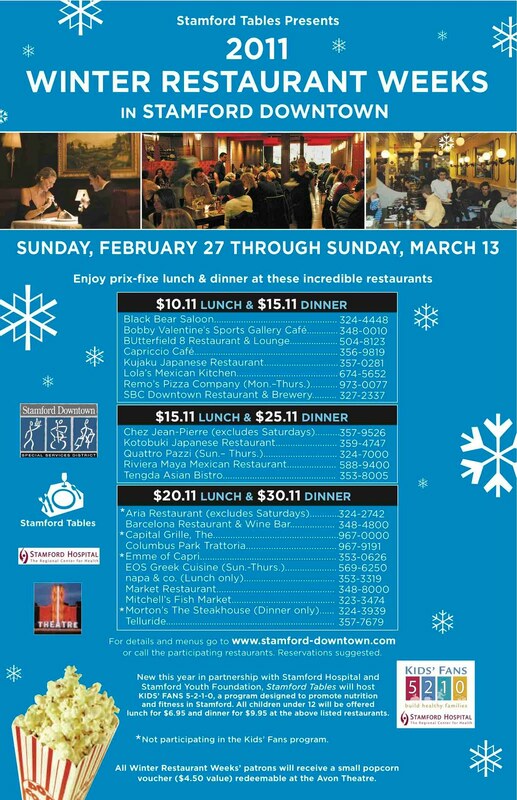 I just noticed that Morton's is participating in this year's Restaurant Weeks! A $30.11 dinner is a GREAT deal and I recommend trying it if you haven't done so. The deals start Sunday the 27th and go through Sunday March 13. I also noticed that the fabulous crepe and soup resto, Meli-Melo in Greenwich, has at least DOUBLED it's dining space! No longer will you have to stand outside or cram in beside strangers on stools to grab one of the coveted 20-24 seats... the renovated, enlarged space is brighter and more inviting. I highly recommend the carrot-ginger soup. Something BAD I noticed today was a red truck with PINK headlights. It was very distracting. Is there a law about headlight color? Or can we put whatever color lights we want on our car to shine at other drivers? I just think that is obnoxious. I also noticed many CHRISTMAS TREES on the roadsides... I hope Stamford will pick up trees before it snows again!